For years a trade agreement with Thailand has been hanging in the air, but has been held back by inhumane conditions in the fishing industry. Now, the EU wants to reopen the dialogue. EURACTIV Germany reports. Shrimp, tuna and seafood not only play an important role in Thai cuisine, they are also a driving economic factor. However, the country has been under pressure for the past three years as the EU, Thailandâs third largest trading partner after China and Japan, is threatening to cease purchasing fishery products. In 2015, the EU issued two yellow cards against the country under its regulation against unregulated fishing. That is a clear warning, because if a red card were to follow, the EU would completely stop its fish trade with Thailand. So far, this has not happened, even though the volume of trade in fi sh exports into the EU declined by around â¬240 million last year compared to 2014. The reason for the faltering business is the partly uncertified fishery business in Thailand, which violates EU import regulations. 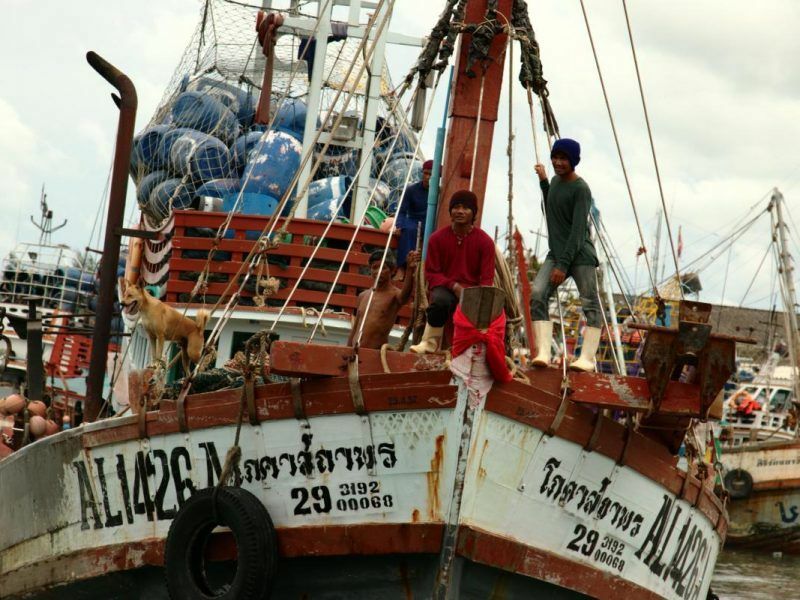 Thailand aims to become free from illegal fishing and forced labour by the end of this year, Virachai Plasai, the Thai ambassador and head negotiator on illegal, unreported and unregulated (IUU) fishing, told EURACTIV.com. But there is more to it, namely reports of trafficking and the bad exploitation of many of the 3.8 million foreign workers, mostly from Burma, Laos and Cambodia. In fact, a ready-made free travel agreement with Thailand has been sitting on the Commissionâs desk since 2013. But given the circumstances in the fishing industry, it is now on ice. However, there is movement in the negotiations: last December, EU foreign ministers in the Council decided to resume discussions with Thailand at all levels â" under the condition that the abuses are eliminated, the Commission said at the time. The threats of the EU have already been effective. The Thai government has been making a real effort since 2015 to clean up the abuses it was accused of, says MEP Barbara Lochbihler (Greens / EFA). She travelled to Thailand with the European Parliamentâs Subcommittee on Human Rights to get an idea of ââthe situation before the EU opens new talks on the trade agre ement. Important labour law provisions on wages, working hours, security and care have been enforced. In addition, trained security officers inspect boats and their crew at each entrance and exit from the port. âThe staff is qualified. In places where there is control, it is done quite appropriately,â says Lochbihler. But the system remains inefficient, 800,000 people are not yet recorded. 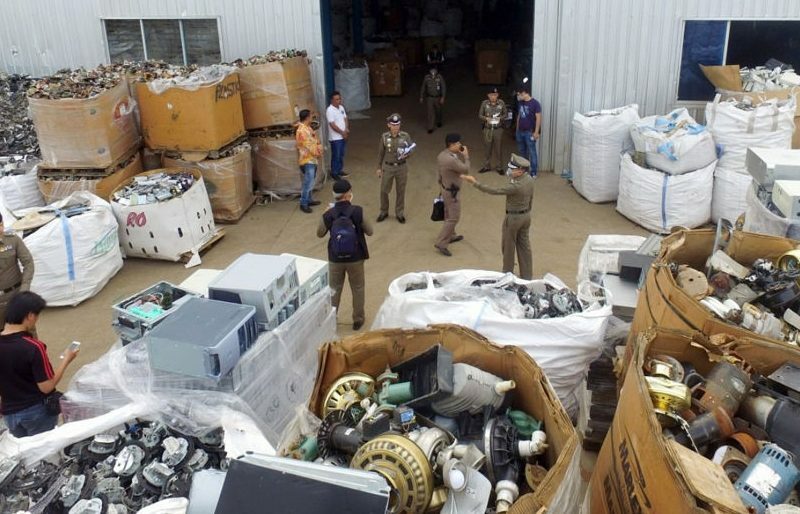 Thailand has become one of the largest dumpsites for electronic waste from developed countries since Chinaâs January ban on the import of plastic waste. EURAC TIVâs partner Le Journal de lâenvironnement reports. A Human Rights Watch (HRW) report released in January comes up with similar conclusions: It is true that the monitoring systems gave actually led to significant improvements. However, many things happen only on paper. The newly introduced âpink cardâ system, which requires all fishery workers to keep records of their work status, has made the situation worse, the human rights organisation states. One of the reasons is that fishermen are so tied to a specific region or an employer and cannot leave them. Will Thailand remain in the hands of the military? In order for the FTA to be concluded, Thailandâs government will have to continue providing clear evidence of recovery. For Brussels, the focus of the negotiations is less on compliance with fishing practices than on human rights. A prerequisite for the next step is a democratic election, which since 2016 has been repeatedly postponed due to the death of the king. Currently, the country is led by a military government that took power after months of political unrest in May 2014. Meanwhile, elections are scheduled for spring 2019. However, the extent to which the elections will ease the grip of current Prime Minister and army officer Prayuth Chan-Ocha is questionable. Currently, there is still a ban on assembly for more than five people; while a law against insulting the royal house hangs like a sword of Damocles above any kind of election campaign in the country. At the same time, it is known in Brussels that renouncing a trade agreement with Thailand would also amount to a loss of power in the region, as China and Japan dominate the Thai market.